The Urus will be based on the concept that debuted at the 2012 Beijing auto show..
MUNICH -- The Lamborghini Urus SUV will be built at parent Volkswagen Group's factory in Slovakia starting in 2017, VW sources said. The ultraluxury SUV will share a modified version of VW Group's MLB platform that also will underpin the next-generation Porsche Cayenne, the sources told Automotive News Europe sister publication Automobilwoche. The Urus will be built alongside the Cayenne, VW Touareg, Audi Q7 and bodies for a forthcoming Bentley SUV at VW Group's plant in Bratislava, the sources added. VW Group's Lamborghini, Bentley and Porsche brands are adding new SUVs to their lineups to meet demand from wealthy customers in markets such as China, Russia and the Middle East. Maserati plans to introduce the Levante SUV next year. Rolls-Royce is getting closer to making a decision on whether to enter the segment, CEO Torsten Mueller-Oetvoes said earlier this year. In preparation for increased SUV output at the plant, VW has installed the group's largest metal press in Bratislava, which is capable of producing steel and aluminum body panels. The automaker aims to increase the use of reinforced aluminum in future SUVs in a bid to cut weight and reduce fuel consumption. Lamborghini unveiled the Huracan supercar, its replacement for the Gallardo, at the Geneva auto show last month. In an interview with Automotive News Europe, Winklemann said he foresees record global sales in 2015 because of strong demand for the Huracan. The automaker's top sales year was 2008 when it sold 2,430 supercars. Last year, Lamborghini delivered 2,121 supercars, up from 2,083 in 2012. 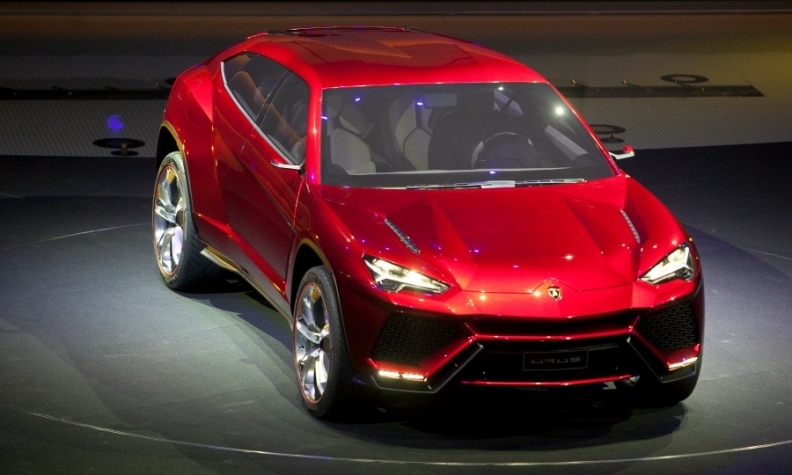 The Urus will be Lamborghini's first SUV since the LM002 of the 1990s. Lamborghini discontinued the LM002, popularly known as the Rambo Lambo, in 1993 after a failed effort to make military vehicles. In January, Lamborghini CEO Stephan Winklemann told Bloomberg that the "expectation" was that the Urus would come to market in 2017.